How sweet is this wedding card? 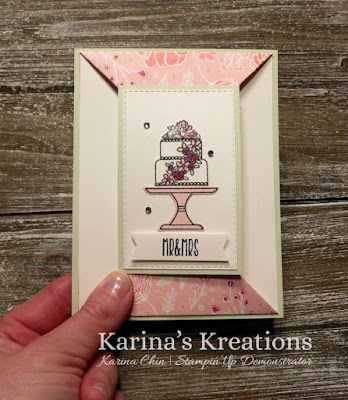 I used the Piece of Cake bundle which is only $41.25 for the stamp set and coordinating punch. 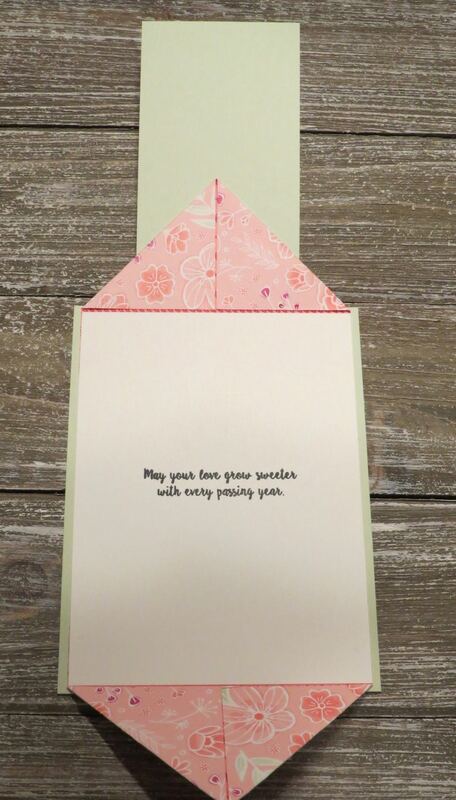 This card uses the new Rectangle Stitched Framelit Dies, and All My Love Designer Series Paper. 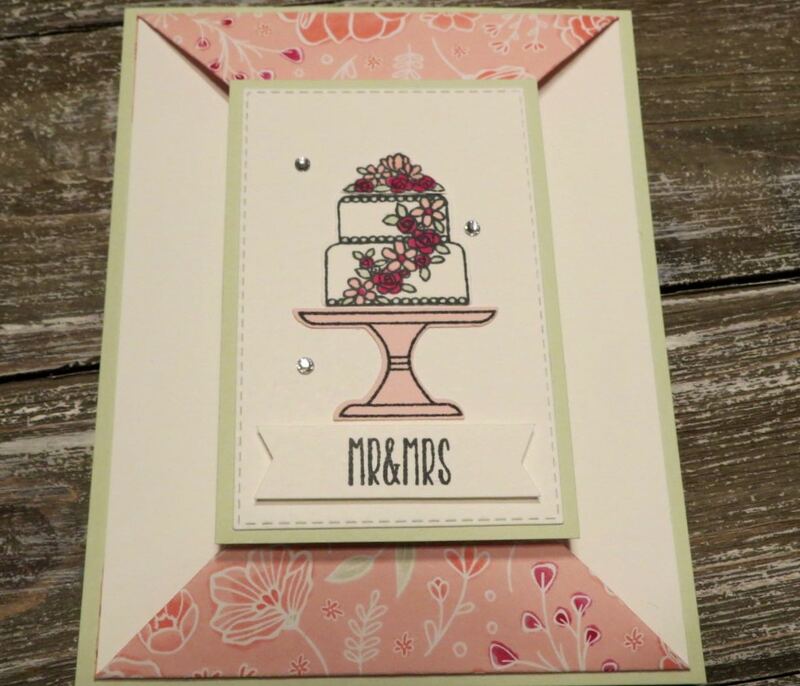 I added some Wink of Stella Glitter pen to the flowers but it's hard to see in the picture. 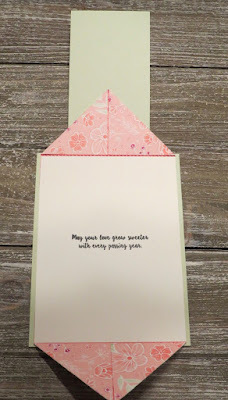 This is an easy fancy fold card and I'll be posting a video for it soon.